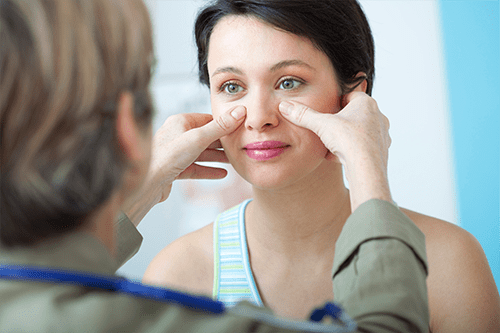 Nasal congestion can be due to chronic sinusitis, a deviated septum, enlarged turbinates, or nasal valve collapse. This condition interrupts your sleep and makes it challenging to exercise. 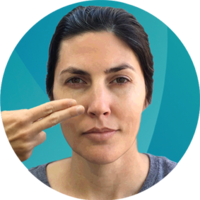 Place one or two finger tips on your cheeks on either side of your nose. Gently, press and pull outward. This temporarily opens the nasal valve. If doing this helps you inhale more easily through your nose, the nasal obstruction is likely to be in the nasal valve, in the front part of your nose. We offer a couple office treatments that will permanently allow you to breathe like this. 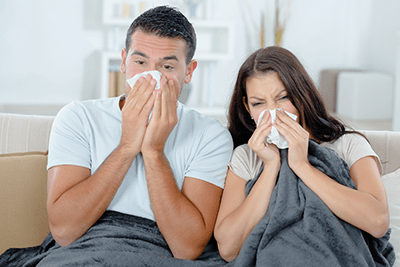 Effective office treatments are available at Pittsburgh Sinus Centers.